NEW YORK, November 1, 2018 /3BL Media/ - Are you ready to shop, eat and celebrate with the small businesses in your neighborhood this holiday season? Today, American Express (NYSE:AXP) revealed its lineup of community programs for the ninth annual Small Business Saturday, taking place nationwide on November 24. 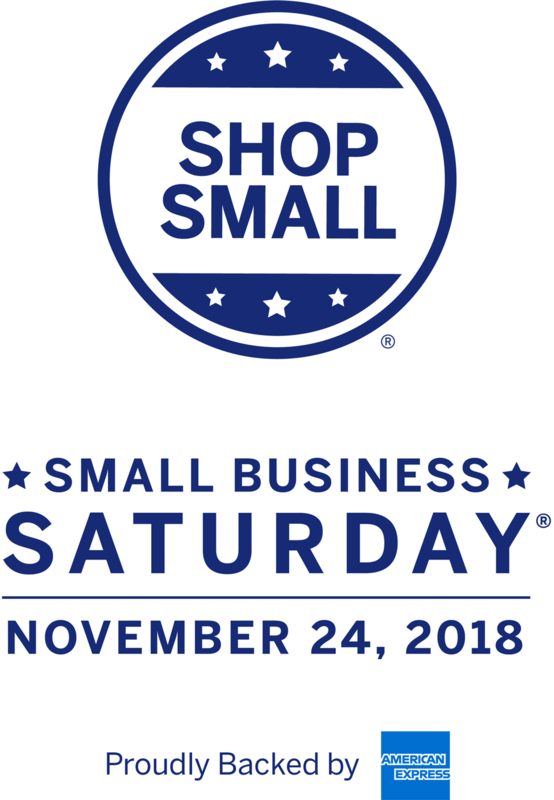 Small Business Saturday, founded by American Express in 2010, is held each year on the Saturday after Thanksgiving to encourage people to shop at independently-owned businesses online and at storefronts across the country. American Express is expanding its Small Business Saturday support to Puerto Rico this year, as local businesses continue to get back on their feet after last year’s storms. American Express will be supporting the island’s businesses in partnership with the Government of Puerto Rico through its Trade and Exports Company and the Puerto Rico Tourism Company, U.S. Small Business Administration (SBA) Puerto Rico District Office1, Puerto Rico Chamber of Commerce, LGBTTQ Chamber, and the Puerto Rico Product Association (Hecho en Puerto Rico). Shop Handmade Gifts at Etsy Pop-Ups: American Express and Etsy have teamed up for the second year in a row to celebrate online small business owners from coast to coast. On Small Business Saturday, Etsy sellers will host pop-up markets in San Francisco, Austin, D.C., and Boston, as destinations to shop locally crafted, one-of-a-kind items this holiday season. Visit Etsy.com to find details on local Etsy seller markets near you. Join Fierce Women with The Wing: The Wing, a network of co-working and community spaces designed for women, will support entrepreneurs again this Small Business Saturday by hosting Shop Small Stations at women-owned businesses in NYC, San Francisco and Washington, D.C. Shoppers can kick off their day at the Shop Small Stations with fun amenities, treats and special Shop Small maps of curated local businesses. More information is available here. Get Lost in Your Local Bookstore with Indies First: Indies First, the national campaign by the American Booksellers Association (ABA) supporting independent bookstores on Small Business Saturday, will once again mark the day by showing love for independent bookstores. MahoganyBooks in D.C. will host Jason Reynolds, author of the bestselling Track series, for a talk and signing from 1 to 3pm ET on Small Business Saturday. In addition, American Express has teamed up with ABA and Simon & Schuster Children’s Publishing around the initiative #IndiesGiveBack. The initiative will provide 20,000 special edition copies of Reynolds’ book, Ghost, to participating independent booksellers to give to young readers in underserved communities on or around Small Business Saturday. Celebrate with Your Neighborhood: More than 6,700 small business owners, individuals, and community organizations have already pledged to be Neighborhood Champions this year, committing to host events and activities to rally their communities on Small Business Saturday. Shop Small enthusiasts can show their love for small businesses in their communities by getting out with family and friends to attend Neighborhood Champion events. Click here to find Neighborhood Champions near you.